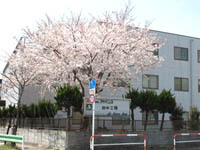 Chofugaoka Factory - ADVANCE CO., LTD. 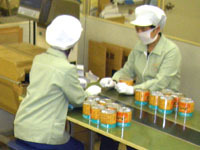 The operations of the Fuchu #2 Factory range from the manufacturing of food products contributing to health maintenance, including intestinal flora-based healthy foods, to the research and development of their manufacturing processes. 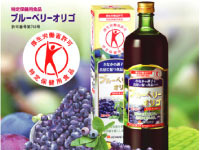 Our factory produces heat–treated cells of bacteria such as intestinal lactobacilli, bacterium-based food material (powdered culture fluid of intestinal bacteria), functional polysaccharide (levan), and a variety of processed foods using heat–treated cells of bacteria (Coccus, ERG, CoccusDrink, Hitotsubu hyaku•hyaku, etc.). To promptly apply discoveries and study results of the Microbial Flora Institute to our products, we are engaged not only in the research and development of the manufacturing (and culture) methods of live bacteria, but also in research into their processing methods in view of the physiological requirements (activity, absorbability, etc.) of the ingredients of finished products. Owing to great interest in health, the expectations and importance of foods useful for health maintenance will further increase in the future. To create diverse food products that meet such expectations, our factory implements strict quality control measures from various viewpoints, and always pursues technological innovations.